The Shire of Serpentine Jarrahdale has awarded its traffic management contract for the next two years to Quality Traffic Management Pty Ltd, trading as QTM Traffic Management (QTM). It was another win for the Western Australian company who were recently awarded the traffic management contract for the Shire of Augusta Margaret River. 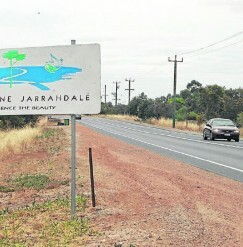 QTM beat 10 other tender submissions for the Serpentine Jarrahdale contract which was evaluated based on experience, key personnel, resources and the company’s understanding of the Shire’s traffic management requirements. Managing Director of QTM, Greg Bendall, said that winning the Shire of Serpentine Jarrahdale contract was a reflection of the company’s personnel experience. “Our people have a depth of experience that sees them plan and operate effectively for works on major roads and highways as well as rural, unsealed roads,” he said. The Shire also recognised QTM’s alignment to its Strategic Community Plan under its objective for responsible management with its key action to undertake best practice financial and asset management.